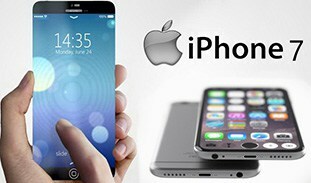 With iPhone X/8's arrival, we are happy to embrace those advanced iPhone 8 tips, like the new Face ID, wireless charging and 5.5 & 5.8-inch OLED display (2800 x 1242 resolution), which reminds us that it will be fabulous to watch movies videos on iPhone 8's gorgeous display, especially those in HD, 4K UHD, 8K FUHD format. But how to play 4K/8K videos on iPhone X/8 as HD format videos can hardly play on mobiles according to the iPhone 8 accepted video files? You will need an iPhone 8 video converter to convert the movie videos to iPhone 8 accepted formats first. iPhone X/8 supported video formats are limited, which means users are stuck in playing limited videos and audios (videos in MP4, M4V, MOV and audios in MP3, WAV, AAC, Apple Lossless, AIFF) on it. Movies and videos in other formats, like HD MKV, M2TS, MTS, AVCHD and AVI, FLV etc are not accepted by iPhone X/8. Right, you are facing the video format issue. If you simply transfer videos to iPhone 8, it won't play. In this case, you will need to encode video to iPhone X/8 with a proper video converter. Learn how to play 4K/8K videos on iPhone and download online videos on your smartphone below. 1. No matter what format and resolution it is, be it MTS, AVCHD, MKV, AVI, WMA, FLV, HEVC, or more, it can convert the media file to iPhone, iPad, Android, Samsung Galaxy, HTC, with speed 5x faster than other similar tools available. 2. It can easily download movies for iPhone 8, as well as trailers, music videos, tv shows, MP3 songs from 300 more video-sharing sites, including YouTube, Vevo, Vimeo, Dailymotion etc in original quality. Step 1: Free download this video converter on Mac (macOS High Sierra), or the Windows version (Windows 10). Then launch it and click "Add Files" to load the video you want. Step 2: Go to Apple Device -> to iPhone Video and select iPhone 8. 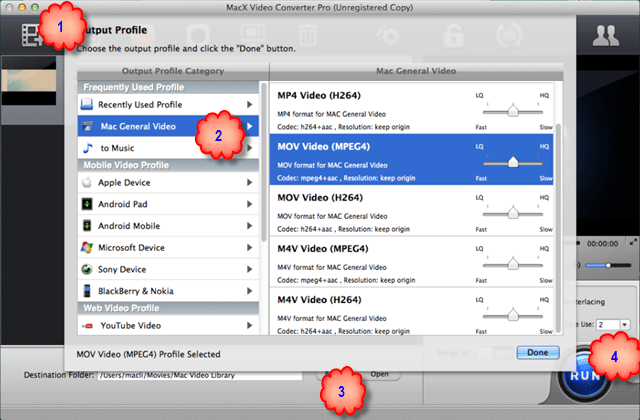 Or you can go Mac General Video and select iPhone supported format like MP4 or MOV as the output format. Note: Besides iPhone X/8/Plus, you are also allowed to transfer videos to iPhone 7s/Plus/7/6s/6/SE/5s, iPads, Samsung Galaxy Note 8/S8 edge and other popular devices. Step 3: Click "Browse" button in output setting area to save your converted e videos. Step 4: Hit "RUN" button and the tool will automatically start video conversion. After a few seconds, you can import video to iPhone for playing smoothly. Then you can use iTunes to sync files to iPhone 8. As mentioned above, this video transcoder also can download movies to iPhone 8/Plus/7s/7/6s/6, iPad, Android devices from Facebook, Vimeo, Vevo, Dailymotion, YouTube, etc for offline enjoyment freely. Copy and paste the Ultra HD video or MP3 music URL of YouTube or other sites to the type box. You are free to download YouTube videos to iPhone 8, and also videos from Facebook, Metacafe etc as you like. Choose "to iPhone" under "to Apple" or an iPhone 8 supported format as the process to convert video to iPhone 8/Plus above. Click "RUN" to start capturing the online video. Now you only need a iPhone transfer tool to import the videos to iPhone. Using iTunes to do the video synching can be too much trouble. MacX MediaTrans helps to transfer videos to iPhone 8/Plus at No.1 fast speed with no data loss, all finished by drag and drop. Step 1: Free download video transfer on Mac or download for PC and run it. Connect iPhone 8 to computer via USB cable. Turn off iTunes auto sync to avoid any data loss. Step 2: Click "Video" on the main interface to initiate the video transfer feature. The batch transfer function allows you to select multiple videos one time. Step 3: Click "Sync" button to transfer videos to iPhone from Mac/PC. The whole process will finish in a flash. Note: with this iPhone transfer tool, it will automatically convert the incompatible files into iPhone supported formats without the use of any third-party converting tool. If you want a one-click way to watch movies on iPhone 7, here is the collection of best Apps for you to watch HD/4K movies on iPhone 7. MacX Video Converter Pro provides the best 4K UHD/1080P/720P video converting solution for iPhone 8 users. It is also can free download HD videos from YouTube and other 300+ online video sites.